Get something for free THIS weekend! | do it frugal. 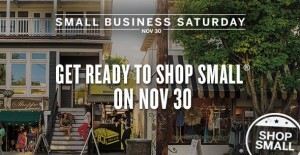 Each year following Black Friday, American Express sponsors a promotion to help small businesses by offering a $10 statement credit to anyone who purchases at least $10 from a small business this Saturday, Nov 30th. It couldn’t get simpler than that. Buy something for $10, get it for free. To take advantage of this offer just register your American Express card by visiting shopsmall.com, then look at the available map for participating retailers in your area. When Saturday rolls around, spend your $10 and enjoy your free stuff! Happy Thanksgiving from do it frugal!